It is increasingly clear that the university is undergoing rapid change in higher education systems right across the globe. This is partly due to the forces of digital technology, partly due to neoliberal restructuring of the higher education sector by governments, and partly due to a shift in student demographics, expectations and a new consumerist orientation. However, there is an additional pressure on universities, and an illogical one at that, which is the claim that they do not contribute to the public good through their practices of publication. This claim has more recently come from open access (OA) advocates, but also increasingly from governments that seek to use university research as a stimulus to economic growth. This claim is without foundation and unhistorical but it is a claim that is being made with greater stridency and is being taken up by research funders and university managements as an accurate state of affairs that they seek to remedy through new policies and practices related to academic publication. It is time, as Allington has convincingly argued, that we ask "what’s [OA] for? What did [OA's] advocates... think it was going to facilitate? And now that it’s become mainstream, does it look as if it’s going to facilitate that thing we had in mind, or something else entirely?" (Allington 2013). In this article I want to start to explore some of the major themes that I think need to be addressed in the current push towards open access but also how it serves as a useful exemplar of the range of "innovations" being forced on the university sector. With such a large subject I can only gesture to some of the key issues here, but my aim is to start to unpick some of the more concerning claims of open access advocates and question why their interests, government proposals and university management are too often oriented in the same direction. I want to suggest that this is not accidental, and actually reflects an underlying desire to "disrupt" the academy which will have dire implications for academic labour, thought and freedom if it is not contested. Whilst it is clear some open access advocates believe that their work will contribute to and further the public good, without an urgent critique of the rapidity and acceleration of these practices, the university, as it has been historically constituted through the independent work of scholars, will be undermined and the modern university as we have come to understand it may be transformed into a very different kind of institution. Within this new complex landscape of the university, there is has been the remarkable take up and acceleration of the notion of mandated Open Access (OA). 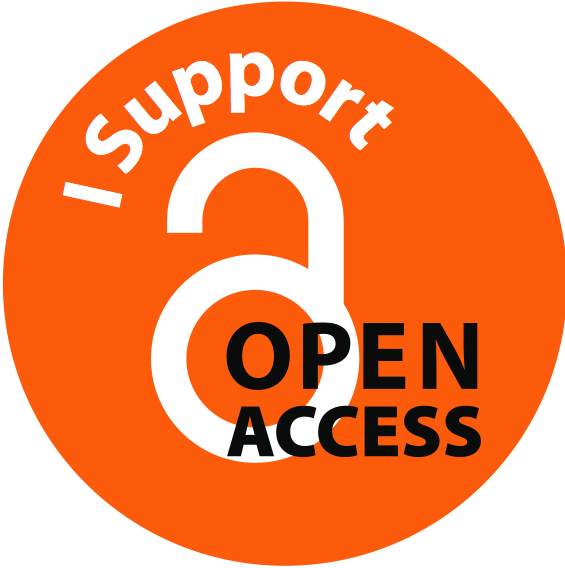 Open Access is the use of copyright licenses to make textual materials available to others for use and reuse through a mechanism similar to that which was created by the Free Software Foundation as the GNU Public Licence (GPL) and later through the activities of the open access movement and the Creative Commons organisation. 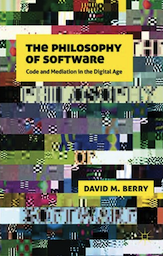 The FLOSS (Free Libre and Open Source Software) movement and the Creative Commons have been important in generating new ways of thinking about copyright, but also in generating spaces for the construction of new technologies and cultural remixes, particularly the GNU GPL licence and the Creative Commons Share-Alike licence (Berry 2008). 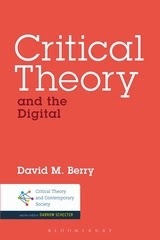 Nonetheless, these new forms of production around copyright licenses have not been free of politics, and often carry with them cyberlibertarian notions about how knowledge should be treated, how society should be structured, and the status of the individual in a digital age (see Berry 2008). These links between the ways of thinking shared between open source and open access raise particular concerns. As Golumbia has cautioned, "in general, it is the fervor for OA... especially as expressed in the idea that OA should be mandated at either the institutional or governmental level... [that] seems far more informed by destructive intent and ideology toward certain existing institutions and practices than its most strident advocates appear to recognize, even as they openly recommend that destruction" (Golumbia 2016: 76). this does not mean that OA is uniformly a bad idea: it is not. In many ways it is, very clearly, a good idea. In particular, versions of voluntary “green” OA, where researchers may or may not deposit copies of their works wherever and under whatever conditions they choose, and the voluntary creation of OA journals when not accompanied by pressure, institutional or social, to refrain from publishing in non-OA journals, strike me as welcome... But it is a good idea that has been taken far beyond the weight that the arguments for it can bear, and frequently fails to take into account matters that must be of fundamental concern to any left politics. 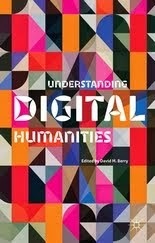 Further, it is a good idea that is surrounded by a host of ideas that are nowhere near as good, and that fit too easily into the general rightist attack on higher education, especially in the humanities, that operates worldwide today (Golumbia 2016: 76). nearly all of these refer to “creating new businesses”, “commercialising new products or processes”, attracting “R&D investment from global business”, informing “public policy-making” or improving “public services”, improving “patient care or health outcomes”, and improving “social welfare, social cohesion or national security” (a particularly bizarre grouping). Only five of the bullet points are grouped under the heading “Cultural enrichment”. These include such things as “increased levels of public engagement with science and research (for example, as measured by surveys)” and “changes to public attitudes to science (for example, as measured by surveys)”. The final bullet point is headed “Other quality of life benefits”: in this case, uniquely, no examples are provided. The one line under this heading simply says “Please suggest what might also be included in this list” (quoted in Finlayson and Hayward 2012). Indeed, more recently Collini (2017) has described the events leading up to the emergence of what has come to be called the "impact agenda". This is the idea that research should be shown to be socially beneficial and economically useful. Collini describes how Gordon Brown, then at the Treasury, was being lobbied by businesses who sought to change the incentives of the universities towards short-term, preferably commercial, impact-led innovation. This led to "impact" being added to the research assessment process of the REF, which many have argued, deliberately shifts how the university understands itself as an institution. the world of 1948 was vastly different from the world of 1996. The American economy, more then than now, was viewed as the ultimate in technology and productivity in virtually all fields of economic endeavor [sic]. The quintessential model of industrial might in those days was the array of vast, smoke-encased integrated steel mills in the Pittsburgh district and on the shores of Lake Michigan. Output was things, big physical things. Virtually unimaginable a half-century ago was the extent to which concepts and ideas would substitute for physical resources and human brawn in the production of goods and services (Alan Greenspan, quoted in Perelman 2003). Clive Humby has described a kind of process where "data is the new oil... Data is just like crude. It’s valuable, but if unrefined it cannot really be used. It has to be changed into gas, plastic, chemicals, etc to create a valuable entity that drives profitable activity; so must data be broken down, analyzed for it to have value" (Palmer 2006). Or as Wired put it, "like oil, for those who see data’s fundamental value and learn to extract and use it there will be huge rewards. We’re in a digital economy where data is more valuable than ever. It’s the key to the smooth functionality of everything from the government to local companies. Without it, progress would halt" (Toonders 2014). So this extractive metaphor, which is rich in illustrative description but which is limited for describing the process of creating, maintaining and using research, has nonetheless served to inspire governmental policy in numerous ways. For example, Meglena Kuneva, European Consumer Commissioner at the European Commission, has described personal data as "the new oil of the internet and the new currency of the digital world" (Kuneva 2009). Indeed, Hinssen 2012 uses the notion that "information is the new oil" and that we should be "drilling new sources of innovation". Innovation in this sense, usually means changing or creating more effective processes, products and ideas for commercial exploitation. Naturally, the next step has been to connect the notion of data (or "open data" as it has been termed) to this extractive metaphor. Indeed, the Office for National Statistics (a producer of data sets) has argued that "if data is the new oil, Open Data is the oil that fuels society and we need all hands at the pump" (Davidson 2016). What makes data into open data, is that it is free of intellectual property restrictions that prevent it from being used by others by publishing constraints, such as copyright, and that it is machine readable. Open data, like open access publications and open source before them, relies on copyright licenses to grant the user the right to dice up and remix the textual or other digital materials in ways that can create new forms of innovative products. Under these conditions open access type works can be collected into a computer processable corpus to subject to pattern matching algorithms, Big Data analysis, free content to populate silicon valley apps and services, and other processing to make the "oil" into economic products. In this sense, the knowledge economy is built on a contradictory set of principles, property rights to control intellectual products and processes (including digital rights management), and a mechanism to promote the "free" or "open" circulation of data and information. This contradiction is resolved if one understand them as not mutually antagonistic to each other, but rather as differing spheres or layers of the knowledge economy. With free data and information at the bottom, waiting to be exploited by entrepreneurs, and a thriving ecosystem of corporations living on top of this land. Indeed, within the academic literature and in governmental publications there is a tacit notion that the government, government-funded research and historical cultural materials (usually out-of-copyright but not digitised and sitting in archives) should become the freely available knowledge in a form that can be "mined" by the private sector in order to create economic growth. But to fully realise this vision requires that much more of the information and knowledge generated by, for example, universities and archives, will need to be opened up for innovation. This opening up, quite literally means providing in a digital form their materials without the kinds of copyright protections that have historically provided the stimulus for research publication, and which would be handed over to the private sector gratis. Indeed, these private sector corporations are driven by very different norms to the research university and certainly do not share its ethical commitment towards science and knowledge. Rather "the norms that guide how companies like... Google organise and disseminate knowledge are primarily market based and have little in common with the formative practices and intellectual virtues that constitute the core of the research university" (Wellmon 2015: 272). One of the most influential descriptions of the workings of innovation has been the notion of "disruptive innovation" a term developed by Christensen (1997) and which describes a process by "which a product or service takes root initially in simple applications at the bottom of a market and then relentlessly moves up market, eventually displacing established competitors" (Christensen 2017). This notion of disruptive innovation is now very much part of silicon valley ideology, and has become part of a discourse that has led calls for "disruption" in other sectors of the economy, from taxis, hotel, deliveries and education. Disruption theory has been connected with new ways of doing things that disturb, interrupt or cause to be restructure what is perceived to be a "closed" way of doing things, whether that through unionisation, monopoly or oligopoly behaviour, public sector or educational. Indeed, in regard to the possible disruption of the university sector, the Economist was keen to argue that technology "innovation is eliminating those constraints [of existing universities]... and bringing sweeping change to higher education" (Economist 2014). What is striking is how this notion of disruptive innovation is increasingly being mobilised in relation to the university, from government, industry and also from university management itself. But also how, often uncritically, many open access advocates are echoing the need for a disruptive innovation of university publication practices (see Mourik Broekman et al 2015). This is an example of a how disruptive innovation in relation to the university sector has created the conditions under which university research outputs have been re-articulated as "not open". There has subsequently been an attempt to argue that they must be "opened up" and as such they would be a resource which can be made available to others to contribute to innovation and economic growth. One of the most important examples is the Finch report of 2012, commissioned by the UK Government. This report drew on many of these themes where it made an explicit link between economic growth and the access to and use of publicly funded research. It argued, "most people outside the HE sector and large research-intensive companies - in public services, in the voluntary sector, in business and the professions, and members of the public at large - have yet to see the benefits that the online environment could bring in providing access to research and its results". These innovations, it argues, are prevented because of "barriers to access – particularly when the research is publicly-funded – [and] are increasingly unacceptable in an online world: for such barriers restrict the innovation, growth and other benefits which can flow from research" (Finch 2012). The "barriers to access" the report counter-intuitively identifies, are practices of publishing research in the public sphere in a form which has been enormously successful in transforming our societies over the last 350 years. Indeed, it is as if universities had, by publishing materials over this period, been actively seeking to create a closed system, rather than, as was actually the case, contributing to Enlightenment notions of a Republic of Letters and open science. 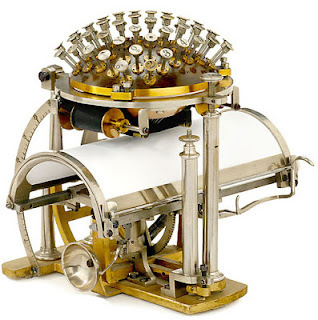 Indeed, as Bernard Stiegler has pointed out, "every student who enrols in the final year of school [in France] is expected to know that the Republic of Letters was conditioned by the publishing revolution from which sprang gazettes and then newspapers, and that the philosophy of the Enlightenment that inspired the French Revolution itself emerged from this Republic of Letters" (Stiegler 2016: 235). Golumbia (2016: 77) similarly has observed that there is a real problem with open access advocates' arguments that "what we have until the last decade or two called 'publication' somehow restricts access to information, rather than making [that] information more available". These claims are not made more believable by the OA habit of picking one or two major journal publishers who have especially problematic practices of publication pricing strategies. This partial representation of the wider landscape of publishing and the use of selective, and often very emotive, cases to argue that all academic publication is against the public good, is damaging to academia as a whole as well as unsubstantiated. This aspect of proselytising of the virtues of open access without any concerns for its potential dangers is very reminiscent of the intense argumentation that has taken place with the FLOSS movement where similar zealotry has been observed (see Berry 2008). [government should seek to] extend the range of open access and hybrid journals, with minimal if any restrictions on rights of use and re-use for non-commercial purposes; and ensure that the metadata relating makes clear articles are accessible on open access terms. It goes without saying that these moves seek to ensure that "innovative" products can be refined from research outputs that have no restrictions on their extraction, use, and exploitation. Finch also uncritically argues that universities should fund, in combination with research councils and government, research that could later be used free of restrictions by commercial users, without themselves contributing back into this open access repository. In effect, Finch is arguing for greater public subsidy for the private sector's use of university research outputs. Indeed, the range of information from universities that Finch saw as available for exploitation includes "research publications...reports, working papers and other grey literature, as well as theses and dissertations... publications and associated research data" (Finch 2012). Not only is Finch generalising the case for open access to all forms of output from university and related research institutions, she is also eager to assume that students' MA dissertations and PhD theses are also fair game for commercial exploitation, without consideration of the ethical or legal implications of mining student work without their permission or consent. 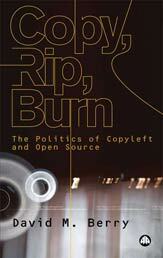 As Stiegler has argued, "the logic of the free and open (free software and hardware, open source, open science, open data, and so on), while initially conceived in order to struggle against the privatisation of knowledge and the plundering of those who possessed it, was able to be turned against the latter" and into a new form of proletarianisation (Stiegler 2016: 240). Google and other companies have "touted their services as 'free' and available to all, but these companies are under pressure to return a profit to their investors" (Wellmon 2015: 272). Open Access is too often presented as an unquestioned good, especially by its more zealous advocates (for a useful critique of this, see Golumbia 2016). Following the push for mandating journal articles as open access across the UK higher education sector, for example, there is now a developing discourse of open access for monographs which tends to uncritically accept OA's "progressive" benefits (see Crossick 2015). In deed, as Fuller has argued, "public access to academic publications in their normal form is merely a pseudo-benefit, given that most people would not know what to make of them (Fuller 2016). In this short article I have sought to contribute to work that problematises open access ideas and places them within their specific historical location. By drawing links between government policies that have sought to reorient the university from its historical mission related to research and understanding to that of economic growth and impact, one begins to see a new alignment of power and knowledge. Open access appears at a time when digital technologies are changing the contours of the dissemination of knowledge and information and are also challenging the publishing industry with new means of publication. Therefore "granting companies... the authority to distribute, even as platforms and not necessarily owners, university-produced knowledge could cede control over the dissemination and organisation of knowledge to institutions primarily oriented to profit-making" (Wellmon 2015: 272). Indeed, OA cannot be understood without seeing it within this wider historical constellation, and consequently its advocates' attempts to depoliticise it by placing it within a moral category, that is, as an obvious good, is extremely concerning and needs urgent critique. Additionally, as Fuller argues, "much of the moral suasion of the open access movement would be dissipated if it complained not only about the price of academic journals but also the elite character of the peer-review process itself... in effect open access is making research cheaper to those who already possess the skills to [use it]..." (Fuller 2016). Open access raises important questions about how publications can better reach publics and audiences, but by exaggerating its advantages and dismissing its disadvantages, it becomes ideological and therefore unreflexive about its uses in the current restructuring of the university and knowledge in the 21st century. Rockhill (2017) has written about how these changes in the university diminish the range of critical voices that historically were found in the academy. Indeed, he suggests that they "should invite us to think critically about the current academic situation in the Anglophone world and beyond, [for example]... the ways in which the precarization of academic labor contributes to the demolition of radical leftism. If strong leftists cannot secure the material means necessary to carry out our work, or if we are more or less subtly forced to conform in order to find employment, publish our writings or have an audience, then the structural conditions for a resolute leftist community are weakened". Similarly, Golumbia has argued that "depriving professors of the opportunity to earn money for their own creative and scholarly productions is one of the best ways to eviscerate what is left of the professiorate" (Golumbia 2013). Finch argued further and completely bizarrely that "we therefore expect market competition to intensify, and that universities and funders should be able to use their power as purchasers to bear down on the costs to them both of APCs and of subscriptions" (Finch 2012). The idea that a smaller number of academic purchasers would drive down prices by paying for production rather than consumption of research publications was presented with no evidence except for the self-evidence of the claim. Stiegler also quotes that “Catherine Fisk, a lawyer, has gone through old trials in the US in which employers and employees confronted each other over the ownership of ideas. In the early 19th century, courts tended to uphold the customary right of works to freely make use of knowledge gained at the workplace, and attempts by employers to claim the mental faculties of trained white workers were rejected by courts because this resembled slavery too closely. As the knowhow of workers became codified and the balance of power shifted, courts began to vindicate the property claims of employers” (Stiegler 2016: 240). Andrew Orlowski has argued a similar point in relation to free culture advocates in cultural production, "unfortunately for the creative industries, there’s money and prestige to be gained from promoting this baffling child-like view [that the creative economy exists to deprive people of publicly owned goods]. The funds that cascade down from Soros’ Open Society Initiative into campaigns like A2K, or from the EU into NGOs like Consumer International, or even from UK taxpayers into quangos like Consumer Focus, all perpetuate the myth that there’s a ‘balance': that we’ll be richer if creators are poorer, we’ll have a more-free society if we have fewer individual rights, and that in the long-term, destroying rewards for creators is both desirable and ‘sustainable’" (Orlowski 2012). Mourik Broekman, P., Hall, G., Byfield, T. Hides, S. and Worthington, S. (2015) Open Education: A Study in Disruption, London: Rowman and Littlefield. Fuller, S. (2016) Academic Caesar, London: Palgrave Macmillan. Golumbia, D. (2016). Marxism and Open Access in the Humanities: Turning Academic Labor against Itself, Workplace, 28, 74-114. Lovink, G. (2016) Social Media Abyss: Critical Internet Cultures and the Forces of Negation, Cambridge: Polity. Perelman, M. (2003) ‘The Political Economy of Intellectual Property', Monthly Review 54 (8): 29–37. Stiegler, B. (2016) The Automatic Society: The Future of Work, Cambridge: Polity. Wellmon, C. (2015) Organizing Enlightenment: Information overload and the Invention of the Modern Research University, Baltimore: John Hopkins University Press.